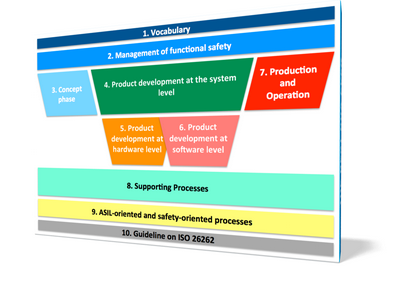 It is our goal to support companies in maintaining the reliability and safety of their complex products and to achieve higher efficiency in system- and safety-engineering as well as in internal and external enterprise communication by optimization of processes and technologies. Therefore we are collaborationg with various technology, service and academic partners, whose products and efforts contribute to this goal. We want to inform you about these topics in a dataprotection-compliant way. Note: All our offers are adressing entrepreneurs. The following gives a simple overview of what happens to your personal information when you visit our website or get in resp. have contact with our company in any other way. Some data are collected when you provide it to us. This could, for example, be data you enter on a contact form or that you provide by handing over your business-card. We use your data with the goal to enter into or to maintain a business relationship. Part of the data is collected to ensure the proper functioning of the website. Other data can be used to analyze how visitors use the site. You may find further information about our company in the legal notice. Should you send us questions or information via the contact form (e.g. also represented by survey-forms), we will collect the data entered on the form, including the contact details you provide, to answer your question and any follow-up questions. We do not share this information without your permission. If you would like to receive our newsletter or other retrievable information about specific products or services (in the following also covered by the expression „newsletter“), we require a valid email address as well as information that allows us to verify that you are the owner of the specified email address and that you agree to receive this newsletter. In context of your registration the following additional data are acquired by default: IP-adress at registration, date and time of registration, IP-adress at confirmation, date and time of confirmation, bounce-status, referrer (URL of registration), IP-adress at de-registration, date and time of de-registration, first and last name (optional), resp. when registrating by SMS: mobile number, date and time of registration, date and time of de-registration, SMS-status. In order to register for our newsletter the so-called Double-opt-in-procedure is used. This means, that after your registration we will send an email to the specified email-adress, in which we ask you to reconfirm that you intend to receive the newsletter. Please also take note of our separate transparency declaration that you will receive when getting in contact to us. Klick-Tipp also allows us to classify newsletter recipients into different categories (tagging). For example, newsletter recipients can be subdivided according to various criteria like customer relationship (e.g. existing or potential customer). This allows us to adapt the newsletters to the respective target groups. For more information, please visit https://icomod.com/klick-tipp and https://icomod.com/klick-tipp-handbuch. 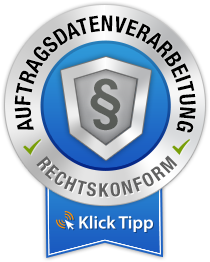 We have entered into a data processing agreement with our email marketing service provider Klick-Tipp, in which we require Klick-Tipp to protect the data of our customers and not to disclose said data to third parties. Thereby it is granted, that our service provider, when sending the newsletter, in all aspects is compliant to the strict regulations of the German data privacy law. Thereby it is also granted, that your data are only stored within the EU with a high protection level. Storage of your data on servers outside the EU does not occur. As far as considered necessary for the goal stated above (see „General“), we may store some of your data in our CRM-system. Besides basic personal data this may also cover company association, supplementary information from publically available sources (especially from social networks like Xing or LinkedIn) or activity and communication notes (emails, talks, …). The CRM-system is checked regularily for data that may be deleted. If data are no longer required in context of a client- or prospect-relationship or a contradictory interest of the client or prospect pre-dominates, we will delete the data as far as this does not conflict with legal retention obligations. We have entered into a data processing agreement with our CRM service provider. Legal basis for this data processing is Art. 6 (1) (f) GDPR. Our justified interest in the sense of Art. 6 (1) (f) is the communication with and support of clients and prospects in the sense of the above-mentioned goal.